Blog #1 Three Myths of Beef Jerky – B.U.L.K Beef Jerky - The Best Jerky in the USA. You know beef jerky is awesome or you wouldn’t be reading this blog right now. But just because you’re riding the jerky flavor wave doesn’t mean that everyone else is on board. Beef jerky is the subject of more half-truths and fake news than just about anything except the fella living at 1600 Pennsylvania Avenue. So today, we’re here to deputize you into the B.U.L.K. Beef Jerky Mythbuster Task Force. Your mission? To break down the barriers separating your favorite delicious snack from the masses of hungry, flavorless souls out there yearning to be fed. There are lots of filler meats in beef jerky. This statement reminds us of “The Simpsons” episode entitled “Lisa the Vegetarian” While considering what parts of animals go into her favorite foods, she imagines a hot dog comprised of a pigeon, a rat, a raccoon, and a rather moldy boot. Because of its unique texture and taste, beef jerky also gets a bad rap when it comes to ingredients. THE FACTS: Quality beef jerky is made of pure cuts of beef, fish, fowl, and wild game. The chewy, tough quality comes from a combination of its marinades and the slow cooking and smoking processes that follow. Beef jerky is junk food that makes you fat. Let’s face it, your average mini-mart isn’t doing a lot to dispel this myth by putting beef jerky on the same aisle as the the cheesy puffs that somehow don’t expire until May of 2047. By definition, junk food is classified as something that’s high in calories but low in nutritional value - empty calories they’re called. 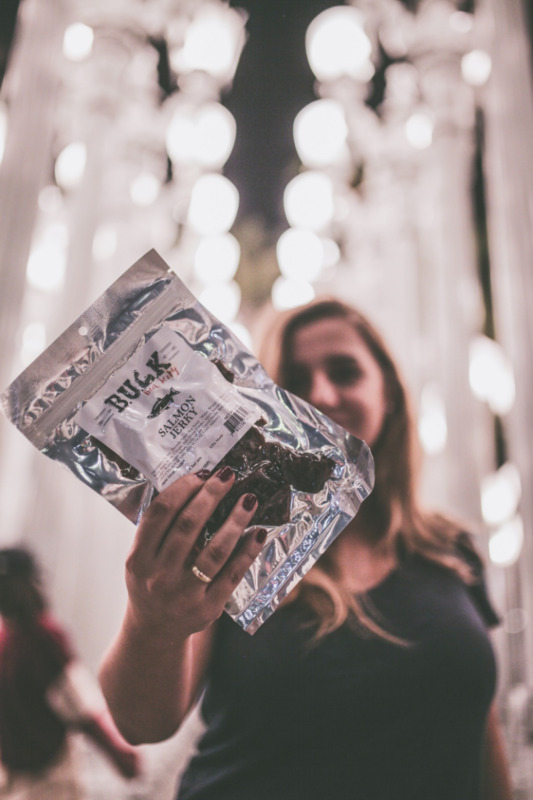 THE FACTS: Quality beef jerky is one of the best high-protein snacks around, and perfect for a post-workout and an anytime fill-up because it’s low in carbohydrates, sugar, and preservatives. If you eat beef jerky excessively, yes, it will make you fat, but the same argument holds true for every food out there. Eaten in moderation, beef jerky dials up your protein intake and is a great between-meals appetite suppressant. Beef jerky contains an unhealthy amount of salt. Salt can be a major downer. When you eat too much of it, high blood pressure, heart disease, or a stroke might come calling. The US government recommends we eat less than 2,300 mg of sodium per day, but the same report also says the average American is shoveling more than 3,400 mg of sodium down their gullet every 24 hours. Clearly too much salt is a problem for way more than jerky enthusiasts. THE FACTS: The average 20g piece of beef jerky contains around 416 mg of sodium. That’s about 18% of the daily allotment. That’s why jerky is a snack, not a meal. The real battle against sodium comes from foods you’d never suspect to be loaded with it. A 1 oz. serving of feta cheese on your lunchtime Greek salad has 312 mg of sodium. Even canned vegetables are salt havens to help preserve them. The better long-term strategy to keep your sodium count down is to minimize it in the everyday foods you eat, not wipe out your occasional snacks.